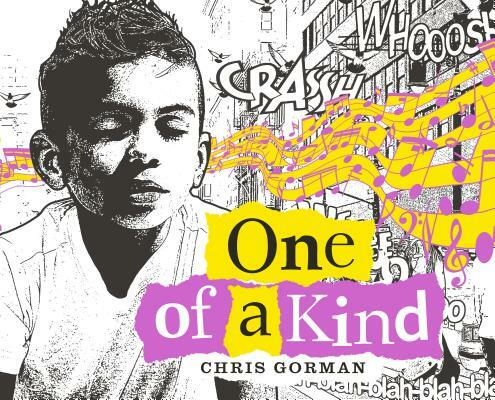 "I’m a kid who’s always been a little different,” begins the first page of ONE OF A KIND, showing a boy as he stands away from the crowd, looking up. He’s not like the other kids: his Mohawk hair, his leather jacket, and his drumsticks all set him apart. He likes being one of a kind . . . but it can be lonely. That is, until he finds one kid, or two, or three, who are a little different, too. Meet a pogo-dancing, punk-rock-loving kid who loves to express himself in his own unique way. His clothes, hairstyle, music, and just the way he hears the world, all set him apart. Not everyone understands him, but fortunately, it's a wide world out there, and if he looks around a kid is sure to find other one-of-a-kinds with common interests. 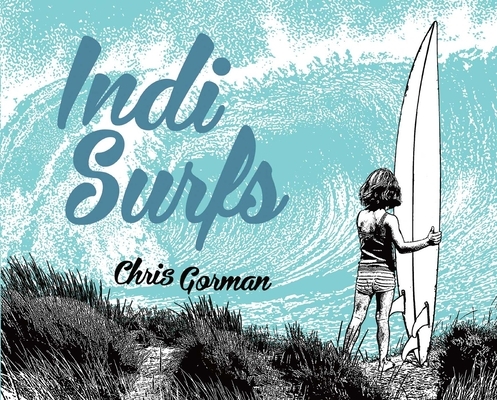 Gorman's evocative images and text capture the essence of beach culture and the surfer's journey in the story of a young girl (Chris's daughter) who takes to the waves. Challenged by the ever-changing ocean, Indi shows how patience and persistence pay off in pursuit of the ultimate surfing goal. Readers will cheer when she gets her reward--a transcendent ride for Indi when she finally catches her wave. Born and raised on the beaches of Rhode Island, Chris has spent his life in search of creative outlets . . . and waves. A lifelong surfer, in 1991, he became one of the founding members and drummer of the acclaimed Grammy-nomnated band Belly. He also co-owned WaterBrothers Surf & Skate Shop here in Newport. After years on the road and in recording studios, he moved to New York City and began a successful career as a photographer. Today, Chris is a photographer and surfing dad, who lives in South Kingstown with his wife Camille, daughter Indi, and son Toll from whom he draws much inspiration.